With 4K TVs hitting the market, major TV manufactures in the market like Sony, Samsung, LG, Panasonic, Toshiba are committed to develop new sharp 4K TV. 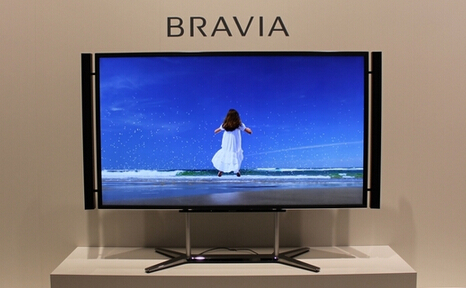 It is no doubt that Sony is the leader in 4K TV field and Sony announces its new Bravia 4K TV in CES 2016. Prepare for clarity like no other with Sony’s BRAVIA Ultra HD 4k TV and its smart feature capabilities to change the way your watch your favourite entertainment. Smart TV just got smarter with the introduction of Android TV. With up to four times the picture detail of Full HD TVs, Sony’s 4k technology produces images with new levels of clarity and sharpness, so even the fasting moving images are of the smoothest transition for a true cinematic experience at home. Top Sony Bravia 4K Ultra HD TV including: XBR 65X810C, XBR 49X830C, XBR 65X930C, XBR 65X900B, XBR-65X900C, XBR 75X850C, XBR 55X850B, XBR 75X940C, XBR-55X900A, XBR-65X850A, XBR-65X900A, XBR-55X850A. Where to Get 4K Content for Sony Bravia 4K TV? Video-on-demand streaming services such as YouTube, Netflix and, more recently, Amazon Instant Video, are now delivering 4K streaming video, while 4K Blu-ray discs should go on sale in 2016. For 4K broadcasts, BT was the first out the blocks with its BT Sport Ultra HD channel. Meanwhile, the BBC is still investigating and Sky has plans in place. Besides above 4K source, there is another 4K source that is your 4K recording no matter comes from camcorder or your iPhone 6S shot. Another problem is that your downloaded 4K content for Sony Bravia 4K TV from torrent sites maybe not supported by Sony Bravia 4K TV media player. But if you do meet the trouble, don’t worry, here we can share a way to enjoy 4K video on Sony Bravia 4K TV. You can use Pavtube Video Converter Ultimate and convert any 4K video files to Sony Bravia 4K TV playable formats. Besides, it also can upscale your SD/HD video to 4K for Sony Bravia 4K TV playback. It can rip and convert 4K Blu-ray to all Sony Bravia 4K TVs and LG, Samsung, etc 4K TV with original video quality. You have two different ways to do this, first is by going to ‘File’ tab, then choosing ‘Add Video/Audio’, a file folder will pop up and from there you can browse and choose the file you want to convert. The second and simpler way to do this is by opening the folder containing the file you want to convert and simply dragging it from the folder then dropping it on the pane of the video converter software. 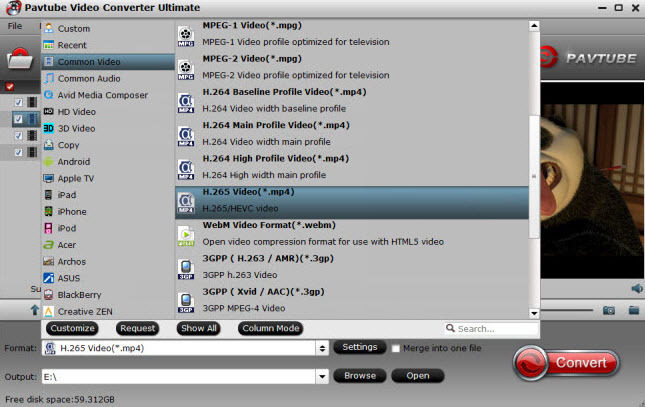 Select the optimized video format for output. 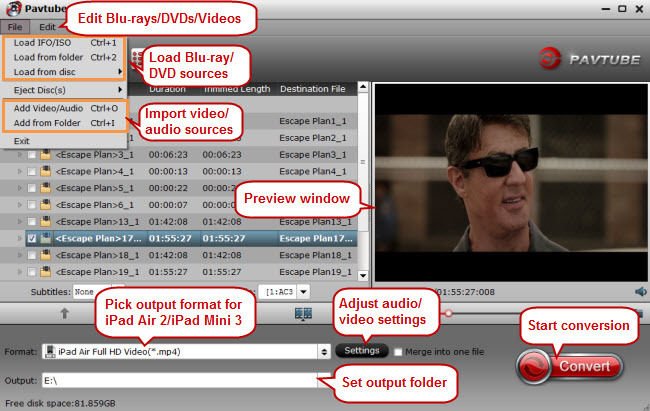 You are suggested to choose MP4 which is the most compatible format. Also, you can select the optimized TV format from “TVS” profile. Normally, Sony Bravia 4K TV supports h.265/HEVC codec, you can choose H.265 MP4, from “HD Video” profile. Tip: If you also want to play this 4K video on normal LED Sony TV, you can compress 4K video to 1080p during the process. Open “Settings” window, in size box of video, input 1920×1080. Hit on the “Convert” icon and start transcoding 4K video to Sony Bravia 4K TV. When it is done, open output folder to locate the 4K content for Sony Bravia 4K TV. Then, you can play these 4K videos on Sony Bravia 4K TV via USB port. This 4K video produced by Pavtube Video Converter Ultimate also can be played on LG 4K TV, Amazon Fire TV 2.